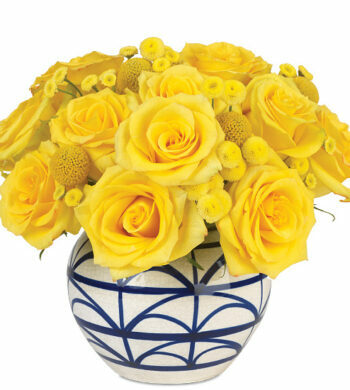 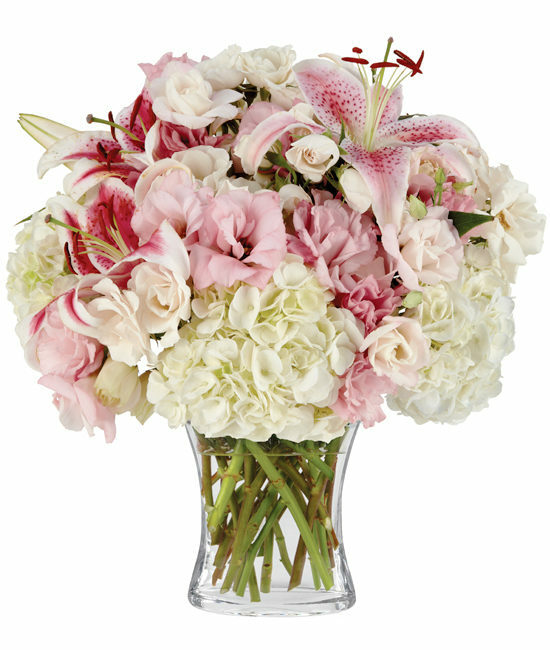 There are many ways one might attempt to describe a bouquet this amazing: elegant, refined, sophisticated, magnificent. 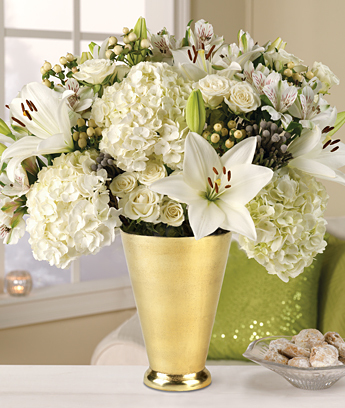 Once you see it, however, we think you will agree it is beyond words. 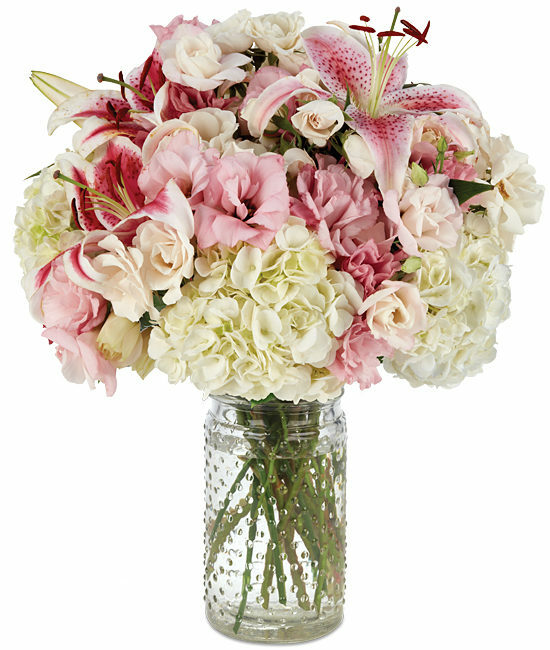 Render friends and family speechless with this unbelievable combination of white hydrangea, oriental lilies, majolica spray roses, and light pink lisianthus, all crowning the top of our angular glass vase in a stunning display.